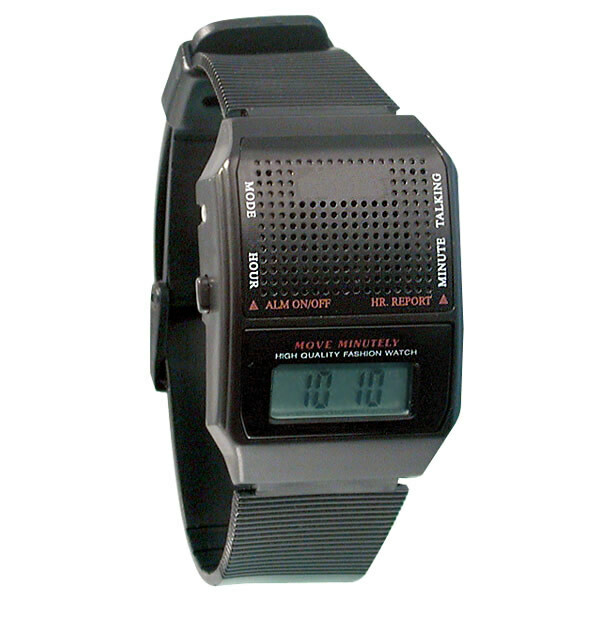 Talking black watch with matching plastic band, 1/4 inch black numbers on LCD display, female voice. LCD and audio time report. Square face style. Alarm. Hourly time announcement. Uses 1 CR-2025 battery (included). Great for men or ladies. 30-Day Warranty.